Short term investment is as important as long term investments when one wants to carve their future. Every person has his long term goals and short term needs. A short term investment is one which is made to satisfy all those short term needs. It is a kind of investment which is made for a shorter term say 3 months, 6 months or 12 months. Sometimes a person may assume a period more than 12 months also as per his objective. These objectives can be buying a car or renovating your own house or maybe some trendy and really cool electronics purchases. Anything which you want to achieve in near term and for which you are planning your finances. So, how you are going to manage these funds, or what kind of returns you want on your existing capital to satisfy these tiny needs. Come on lets see what all short term investment options you have to do this. 3 High Return Or Safety? What To Choose In Short term investment? One of the easiest ways to invest money for the short term is depositing it in a Savings Bank Account. The biggest advantage of investing money in saving accounts is its zero risks. Though the returns may not be exceptional here liquidity of your investment is pretty high than any other investment medium. You can get your cash anytime anywhere when you require. The facilities like net banking, mobile banking, and ATM cards made access to your money easy. Usually, Public sector banks offer lower minimum balance requirement for saving account. But, on the customer service front private banks remains the king. These accounts provide interest ranging from 4% to 8% which forms a decent return on your investment. The interest is usually credited on a quarterly or annual basis into your savings account as per the bank rules. Moreover, as per the Income-tax Act, an individual and HUF can claim a deduction of around Rs.10000 earned as interest. Post office time deposits are another safest investment avenue for an investor when it comes to satisfying short term needs. One can invest in post office time deposits for a period of 1 year or 3 years. These schemes also offer decent returns on investment however premature withdrawal of these deposits harm your interest earned. Recurring deposits is another type of bank deposits which enables an investor to invest on a monthly or quarterly basis. This short term investment option stands as the best option to the investor who is unable to bring huge capital for investment to intend to invest in steady tranches. One can invest for 6,9 or 12 months in bank RD. In this investment mode, one need to invest regularly post which at the maturity he gets an invested amount coupled with an earned interest in lump-sum. Generally, this account has a lock-in period of one month, any premature withdrawal cost you with reduced interest earnings. And if you wish to withdraw your invested money before one month then no interest is paid on these investments. These investments attract interest rates as same as the bank FD. Currently, it is around 6-8% per annum for the tenure of 12 months. Traditional investors, most of the time, view fixed deposit as a safe investment instrument. But in this declining interest rate administration, one has to think of some other options like company fixed deposit, bonds, etc. The main benefit of investing in the fixed deposit is its assured return. The only reason our parents and several others in our generation also have this single idea of investment is that of its safety features. Also, there are incentives like easy availability of loan against FD. One can borrow up to 90% of the FDs amount. The next benefit is the adjustable maturity date. It is for this quality that you can invest for a time span that is as less as 6 months to as long as 10 years or even more. For fulfilling short term goals one can also consider investing in fixed maturity small investment plans. Fixed maturity plans invest in debt securities like treasury bills, certificate of deposits and government bonds etc. These plans have a fixed maturity horizon. This maturity horizon can vary from three months to five years. These funds invest across money market instruments, certificate of deposits, commercial paper, corporate debt and government bonds, depending on its maturity and its respective investment strategy and goal. For instance, A 3-year FMP shall invest in debt instruments that will also mature in 3 years. FMPs are close ended funds and considered as less risky, on maturity one can get decent returns with these plans. However, the only drawback for this is you can not withdraw your investment before maturity. For conservative investors, arbitrage funds are the best suits as these satisfy their short term investment needs and risk appetite needs. Arbitrage funds buy stock in the cash segment and sell it back in a future segment. The difference earned between these two is counted as a return on your investment. As the fund manager creates neutrality by investing in the cash market and selling in futures market volatility doesnt add more risk in these type of funds. However, returns are much dependant upon the arbitrage opportunities between Spot and future market which are high in the bullish market. After looking at the safest investment options for short term now lets go ahead and understand the plans and options available to reap higher returns by taking moderate or high risks. Equity mutual funds are also one of the great options for the short term investment. These funds invest in the pure equities for returns. There plenty of options available in the equity mutual funds which can satisfy your short term investment needs. If you are conservative investor then large cap mutual funds which invest monies only in the large-cap stocks are the safe option among the equity mutual funds. However, if you want to go aggressive to gain higher returns then mid-cap and small-cap funds are there for you. But do remember when you go for mutual fund investment for less than a year then you are eligible for short term capital gain tax on your gains. Buying a debt instrument is similar to providing a credit to the issuing entity. The primary reason for investing in debt funds is to get income in the form of interest and capital appreciation. The interest that you get on these debt securities is pre-decided along with the duration after which the debt security will mature. Because they provide regular interest, these securities are called fixed-income securities. Debt funds are the funds which invest in such securities. Debt funds try to optimize returns by expanding across various types of securities. This enables debt funds to earn reasonable returns, but there is no guarantee of returns. Debt mutual funds are ideal investment instruments for conservative and risk-averse investors. They are fit for both the short-term and medium-term investment horizons. Short-term is considered from 3 months to 1 year while the medium term is from 3 years to 5 years. For a short-term investor, liquid funds, which fall into the debt fund category, is an ideal investment option as opposed to holding your money in a saving bank account. Liquid funds give higher returns in the range of 7%-9% with high liquidity to meet your emergency requirements. The medium-term investor can go for debt funds like dynamic bond funds can be perfect to ride the interest rate volatility. As compared to the 5-year fixed deposit, these bond funds give higher returns. If earning a regular income is your priority, then Monthly Income Plans can be considered as a good option. Short Term Liquid Funds are funds which invest in short term government securities and certificate of deposits. Usually, these instruments have a short maturity period of 4-91 days. 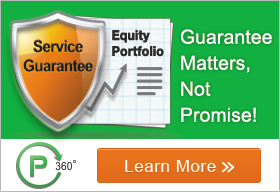 These funds offer higher liquidity and flexibility of entering and exiting from them. Being short spanned investment mode these funds offer returns ranging between 4-8% which are quite moderate returns. These funds pose lower risk however when compared to bank fixed deposits the risk is a bit higher. So, we consider this a moderate risk and moderate return instrument for the short term. Pure equity investment is the best option to reap higher returns in the shorter run. Investing in direct equities in a diversified manner could serve you the best possible returns on your investment. But pure equity investment requires proper guidance to reap highest returns. 3. High Return Or Safety? What To Choose In Short term investment? Short-term investment can mean anything from a few months to a few years. The general rule of thumb is that anything below three years is considered a short-term investment. Short-term investments have either low yields or high risks. For example, a short-term investment in debt would give a low return but will keep the capital safe. On the other hand, in equity, you will get a much higher return but will have to bear high risk. It entirely depends on the risk appetite of the investors as to where they invest, but the short-term investment is important for making more profit from your cash savings or liquid assets. How much risk one can take or afford to take depends on an individual's risk appetite. But when it comes to choosing between high growth and safety, it's better to take the call on the merit of the situation. Therefore, to accomplish your short term goals you can select any of the above short term investment options or plans. Keeping in mind your financial goals, needs. Be wise and smart while parking your funds for a short term. However, if you face any issue with your investing life or lacking behind to fulfill your short term goals then you can reach us anytime at 09637171436. This is a republished article. We have updated few sections to make it more detailed & comprehensive.